Play King’s Treasure online for free now! 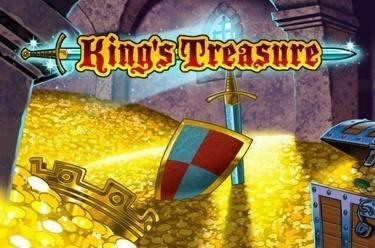 King’s Treasure is a slot game for everyone who hasn't conquered a royal treasure yet. 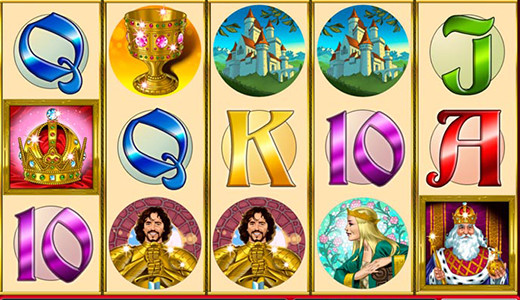 Here you travel in no time at all to a different age and go on a treasure hunt on 5 reels and up to 20 win lines. Can you open the doors to fame and fortune and take a royal amount of Twists to your treasure chest? We believe in you! Land 5 identical symbols along an active win line to cash in royal winnings! The 20 win lines run in different patterns from left to right across the reels. To win you have to land the minimum number of identical symbols from the left side by side without interruption on a win line. The King replaces all symbols except for the Crown and completes with a little luck all winning combos. If the reels show 3, 4 or 5 Crowns you win 15, 20 or 30 Bonus games. The last game settings will be used and cannot be changed. As well as the King the Crown replaces all other symbols in the Bonus game - that means you have 2 Jokers to complete your winning combinations. Please note: In the Bonus game the Crown can also complement a King, which means the Jackpot is within your reach! 3, 4 or 5 Crowns in the current Bonus game win additional Bonus games. King’s Treasure has a common progressive Jackpot for all stakes and currencies. If you land 5 Kings on a win line, you win the progressive Jackpot. 100% of the progressive Jackpot is won with the highest stake. If your stake is lower you win a share of the Jackpot depending on the bet amount.